Developer Countryside and sight loss charity Royal National Institute of Blind People (RNIB) have joined forces to develop a pioneering housing scheme. Planning consent has been won for a scheme of 102 new homes in Redhill, Surrey which will integrate community housing for blind and partially sighted people with homes for private sale, has been granted planning consent. 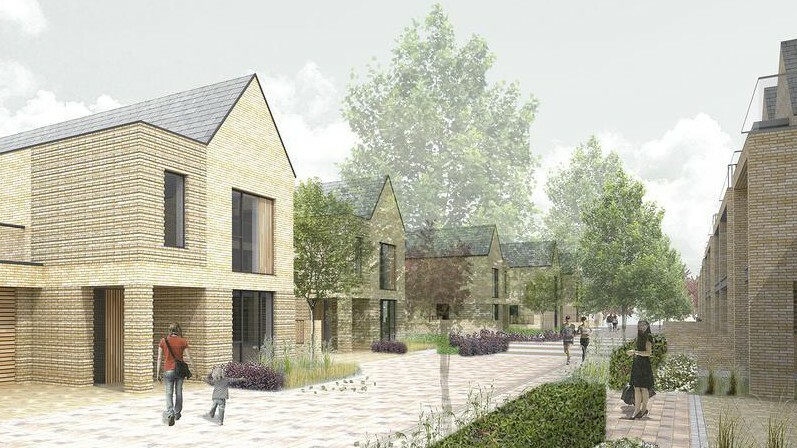 The scheme, designed by Gardner Stewart Architects, will see the redevelopment of the existing RNIB Community Living Service facilities to provide new homes for 50 RNIB residents alongside 77 new three, four, and five-bedroom houses for private sale. The development also includes community facilities such as a sensory garden which was a Gold Award winner at the 2014 Chelsea Flower Show. Getting around the development was a key consideration for the developer, which has used natural landscaping to replace traditional wayfinding tools such as handrails. The development will include both shared and private accommodation for blind and partially sighted people. All properties will have accessible features to ensure residents can live independently. The RNIB facilities will also include a café for the use of the whole community as well as recreation, training and employment services for residents with sight loss. The homes will be part of the natural topography, while the public realm is designed as a sensory experience for all residents. New homes will feature floor to ceiling glazing, extensive balconies and roof terraces and a range of façade treatments. Construction is planned to start early next year. This entry was posted in Design and tagged communities, Design, Sustainability. Bookmark the permalink.